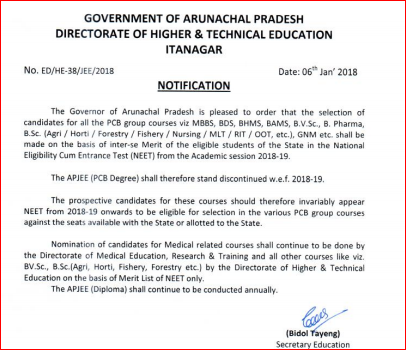 APJEE 2019 (Arunachal Pradesh Joint Entrance Examination) the Arunachal Pradesh State Council for Technical Education has conducted the Arunachal Pradesh Joint Entrance Examination 2019 for selection of candidates for admission in various technical/professional courses except for as per program is given below. Also, candidates interested in Degree courses (PCB group only) and Diploma courses have to apply online. 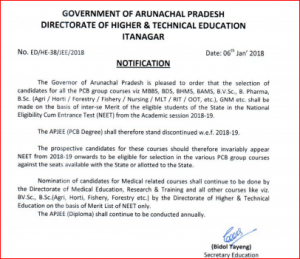 The Arunachal Pradesh State Council for Technical Education is going to conduct the Arunachal Pradesh Joint Entrance Examination (APJEE 2019) for admission in various Diploma programmes. Latest Update: Joint Entrance Examination Application Form for April session has been released by NTA on 08 February 2019. 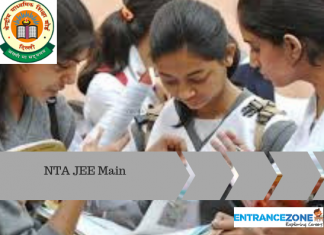 Click here>JEE Main Form. The Arunachal Pradesh Joint Entrance Examination Important Information is listed here. The dates are yet to be announced. The below-given dates are tentative and based on last year schedule. Scanned copy of signature and photo in .jpg format. Non-APST Should between the age of 15-18. Valid mobile number And E-mail Id should provide to get the latest update of Exam. How to apply for APJEE 2019 Application form? Choose the course of interest. Students have to fill all the Personal detail in the application form. Then after Student ID, Password And application number will generate. Students have to put Student ID and password to Login. Then the application form Page will Appear. After filling the application form students have to pay Application form fees to appear on online mode. After successful payment students have to upload all the required documents. Now students can click the submit button for the final process. Take the print out of the application for future purpose. Find detailed information about APJEE 2019 Application Form Here. Official Sample Application Form Here. Candidates belonging to Arunachal Pradesh Scheduled Tribe (APST), or Non-APST. Employees of the State Government. The Central Government & the Central Public Sector Undertakings serving in Arunachal Pradesh. And other dwellers of Arunachal Pradesh residing for the last 3 years or more. And the candidates form Arunachal Pradesh. Who have appeared/passed Class 10/12 from any of the schools within Arunachal Pradesh? 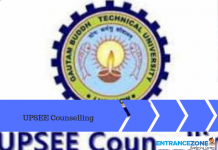 FOR DIPLOMA COURSES Class 10 or equivalent from a Govt. recognised Board. 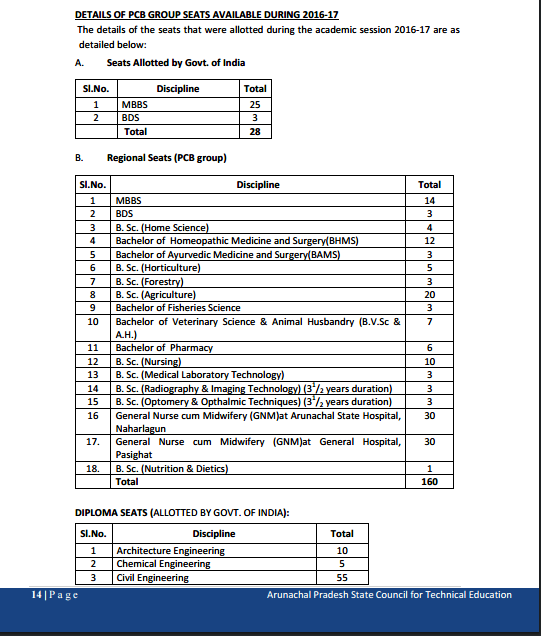 FOR DEGREE COURSES Class 12 or equivalent in the science field (Biology group) from a Govt. recognised Board/University. Age Limit: The age limit for appearing the APJEE in the various courses are as follows. FOR DIPLOMA COURSES Age must be within 15 to 18 years as on the date of admission. However, three years (3 years) relaxation or exemption from upper age limit for SC/ST candidates. Further, the statutory bodies of the government like the Medical Council of India (MCI), the All India Council for Technical Education (AICTE), the Dental Council of India, the Veterinary Council of India etc. will govern the existing norms of the age limit. Admit card for both Degree (PCB) and Diploma can be downloaded from the APJEE website using the candidates “Username” and “Password” made available during registration. The link for downloading the admit card is www.apjee.in. And, the Procedure to click on the link and fill the required details to download the Hall Ticket for Arunachal Pradesh Joint Entrance Examination. IAS/Central Govt./State Govt. employees belonging to APST. Children of Non-APST State Government employees. All others, not included in any of the above categories with the condition that the candidate should have appeared/passed Class 10/12 or equivalent from any of the schools within Arunachal Pradesh and his/her parent(s) should have been residing in Arunachal Pradesh for the last 3(three) years or more. Both the criteria should be fulfilled. The question papers of the APJEE will be in English only. All questions will be of Objective type with multiple-choice answers. Each question will carry 4(Four) marks for a correct response. For each incorrect answer to a question, 1(one) mark will be deducted. Exams will be will be conducted on various centres across these cities – Itanagar, Naharlagun and Nirjuli. Diploma: CBSE prescribed syllabus for Classes 9 and 10. Degree: CBSE prescribed syllabus for Classes 11 and 12. Also, all questions will be of OBJECTIVE TYPE with multiple-choice answers. Moreover, each question will carry 4 (Four) marks for a correct response. And, for each incorrect answer to a question, 1 (one) mark will be deducted. But, there shall be no deduction for the un-attempted question. Source: Arunachal Pradesh State Council for Technical Education. The examination procedure is given here. 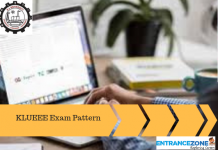 Firstly, on the day of the examination, the candidate must report to the Examination Centre at least 30 minutes prior to the commencement of the examination. And occupy his/her seat at least 15 minutes before the exam gets the start. Then, candidates need to bring the necessary stuff like a ballpoint pen to mark in the OMR sheet. 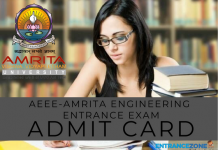 And Admit Card along with it at the time of examination. Also, apart from these two, nobody should bring anything else inside the Examination Hall. Further, one should show the admit card to the invigilator on demand at the time of examination. Next, at the time of examination, the candidate will get an OMR Answer Sheet along with the Test Booklet. Moreover, the candidate should assiduously read the instructions of the Test Booklet before attempting any questions. Also, the candidate should dark the specific bubble (only one) as the answer in the OMR Answer sheet with Ball Point Pen (blue or black only). Further, one should not keep hold of this stuff mobile phone, pager, calculator and other objectionable materials. As these are prohibited from carrying in the examination hall. Finally, the candidate should not misbehave in the examination hall. And should follow the decorum and rules specified by the CBSE. Firstly, APJEE will declare result category wise in the form of MERIT LIST for all the aspirants of Andhra Pradesh JEE. But, there will be separate merit LIST prepared for Diploma courses and Degree Courses (PCB). Also, two or more candidates securing the same mark in the APJEE will be placed in the same rank. However, their merit shall be determined on the basis of the percentage of marks acquired in the qualifying Board/University Examination. Thereafter also, if they still have an equal percentage, their merit shall be decided on the basis of marks procured in the subjects of PCB. Further, the result once declared will be final. And one should not request for re-examination of answer sheets thereafter. Firstly, the Notification regarding the distribution of seats will be as per the Reservation Policy of the State for admission to technical/professional institutions will be available. Also, 1 (one) seat in Diploma in Engineering Course under Cat-I shall be reserved for a Handicapped candidate. However, the candidate should have appeared the APJEE and also should produce the requisite certificate from a competent Medical Board. Further, the candidate should be capable of undergoing the course with his/her physical condition. Firstly, the dates regarding the counselling, selection, and nomination of candidates shall be available on the official website of the Directorate. And will also get published in the local dailies of the State. Then, the date of Counselling for allotment of seats will get finalise only after procuring receipt of allotment of seats from the Government of India. Also, allotment of the seat will be strictly on the basis of merit list of APJEE. Moreover, preference of candidates shall be considered subject to availability of seats in the particular discipline as per his/her Merit position. Further, no candidate, whosoever can, as a matter of right, ask for a particular discipline or particular college/institution. The Government of Arunachal Pradesh has the right of nomination of eligible candidates according to the specific situation. 1. Original qualifying Certificate of the examination. 2. Category Certificate of the candidate i.e. 1) ST Certificate for Cat.-I 2) Employment Certificate from respective employers or Domicile Certificate issued by First Class Magistrate during 2019 for Cat.-II. 8. Parents’ Employment Certificate from the appointing authority or Domicile Certificate issued by First Class Magistrate during 2019 for Category-II.